Wayne’s Web Design is your all-in-one solution. I specialize in non-profit organizations, start-ups, small businesses, and campaigns that have unique needs. The large web design firms don’t care who you are or your budget. They will charge you the same hourly rate as everyone else, and still probably won’t offer you the services and one-on-one attention that Wayne’s Web Design provides. There are some costs that can’t avoided, like domain registration/renewal and web hosting. I will keep cost down but not sacrifice quality. Before I even begin to work on your website, I will work with you to come up with a price that works for your budget. There are cheap web design rates advertised but beware of hidden fees. From registering your new domain name, to completing your website and setting up your email, I will be there at your side, from beginning to success! I offer a one price for all services. I provide web site design, implementation, search engine registration, and analytics as part of my one fee service. 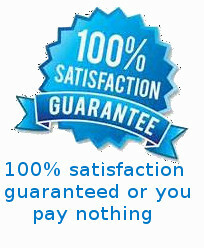 I will be happy to recommend a hosting service that is cost affective and provides excellent service. I can explain the jargon some sites use to impress but not inform you. Why are my rates so low? I am retired with an adequate pension and social security. I do not need to make/save money for retirement as my children are financially independent. My expenses are low. Wayne’s Web Design world-wide international headquarters and development facility location is bedroom #2. The number of employees is 1. My largest expense is computer hardware and software and web access. Why not do work for free? I want earned income to fund my 401K Roth IRA. I believe in supporting education and give a significant amount to my colleges and charities I support financially. I want to give to charities of my choice and not the US government. I do many hours of pro-bono work for non-profits. I have teamed with TAPROOT+ (https://www.taprootplus.org/) to find charities that request assistance. TAPROOT+ projects are limited to initial design and does not include extended maintenance. I have 700+ hours and 18+ completed projects. I enjoy the work and will continue to volunteer. However. I discovered that managers of charities are more responsive when they pay for assistance. I worked for days getting a site ready and at last minute the manager did not follow-up and publish the site. The result, all my work was wasted. Because of busy schedules, missed scheduled phone calls with non-profits seems to be the norm for non-profit managers. Wayne’s Web Design for long term website maintenance. I retired in 2005, after a career with IBM as a computer programmer and system designer (27 years) and an independent consultant and speaker on OS/400 Security (15 years) . In 2016, the passing of a high school classmate caused me to start a charity to give a college scholarship to a graduate from my high school. I created my first web page www.MVHS-Adams.com to encourage giving by others classmates. I enjoyed web page design, so I joined TAPROOT+ and have completed over 20 website design projects (pro-bona). My IBM experience in user interface design are valuable when I design websites. I would like to assist you in new website design and the update of existing websites. As I reviewed non-profit websites, there were similar problems that made the website less effective. A presentation ‘Common Website Mistakes by Non-profits’ documents the common mistakes You can download this document from the DOCUMENTS tab on this website. This web site is accessible for the vision impaired. See ‘How to Make a Website Accessible for the Vision Impaired” on the DOCUMENTS tab. While creating over 20 websites, I learned to use the web page editors WordPress, Kix, SiteBuilder and Squarespace. The WordPress editor is the most popular with 28% of all websites. I learned (school of hard knocks) the vast number of options available in WordPress. WordPress allows simultaneous updates to DIFFERENT pages on the same website. This makes WordPress ideal for a website with multiple programmers making updates. The KIX and SiteBuilder editors are easier to use but have fewer software options. All web pages are replaced at the same time so this editor is best used by a single web programmer. If multiple programmers make updates care must be taken to avoid simultaneous updates. Squarespace has a good editor but my experience the fees charged are higher. The Squarespace is only hosted by one company and no competition allows higher fees. For the cost-conscious, I do not recommend Squarespace. HTML and CPANEL should be used only by experts as these editors require very exact coding (not a what you see is what you get type of editor). I know enough HTML to make minor changes but I do not want to become an expert. The MY WORK tab on this website has examples of my websites including links to the websites. Can I add you to the list of 100% satisfied clients?